Cloud computing has fueled digital transformation projects for the last decade. Cost efficiency, scalability, flexibility, and support for an increasingly distributed workforce are all valid reasons to move more applications to the cloud. However, traditional cloud computing isn’t all upside—especially as the Internet of Things (IoT) grows exponentially. The current compute model is shifting from centralized cloud computing to distributed edge computing. And the link between the two will be edge clouds, alleviating pressure from cloud infrastructure. There were about 15 billion IoT devices in the world back in 2015. That number eclipsed 27 billion in 2017 and estimates show connected devices could reach 125 billion by 2030. 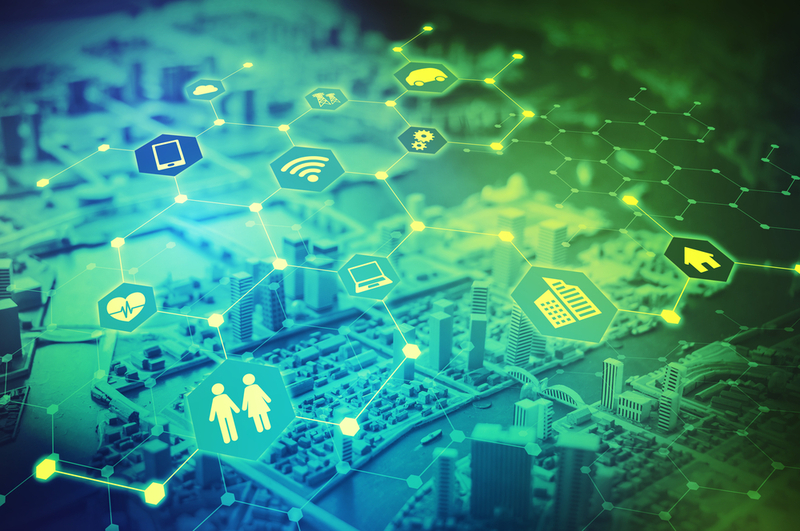 The persistent growth of IoT connectivity is a boon for businesses that want to take advantage of artificial intelligence, machine learning, big data analytics, and more. However, we have to start thinking about the networking implications of IoT growth. According to Cisco’s Global Cloud Index, the volume of global cloud IP traffic will grow from 6.0 ZB in 2016 to nearly 20 ZB in 2021. And that traffic will account for 95% of all data center traffic. While we tend to associate cloud computing with flexible, scalable resource availability, IoT is poised to push it to its limits. Imagine the amount of bandwidth you’ll use when hundreds of IoT sensors are generating gigabytes upon gigabytes of data and sending it to your cloud hubs. In recent years, edge gateways have helped alleviate the pressure of IoT data collection by scrubbing and filtering datasets before sending packets to the cloud infrastructure. But even this approach is limited. The best way to solve for cloud computing limitations and challenges is to fully embrace edge clouds and make connected devices less reliant on the traditional hub-and-spoke computing model. The most prevalent reason to embrace edge computing for IoT is its ability to minimize latency and enable real-time analytics. Latency around 20 ms probably won’t impact basic business applications or your web page. However, when you’re using IoT for industrial monitoring, video processing, AR applications, and traffic management, even 10 ms of latency can lead to disaster. But minimizing latency isn’t the only reason to take advantage of edge computing. The Internet of Things creates such massive volumes of data that pushing cloud resources to the network edge—closer to the source—can significantly limit the pressure on your cloud infrastructure. Think about this in the context of a sensor on the industrial floor. The value proposition is that IoT sensor data can enable predictive analytics, helping you proactively address potentially-disastrous system malfunctions. However, 99% of the reports sent from that sensor to your cloud data center should contain the same data indicating systems are operating properly. Does all of that redundant data really need to be stored for historical analysis? With compute power distributed at the edge, you can automate the filtering process to ensure only the most valuable data is transferred to the cloud hub. This minimizes the amount of bandwidth consumed and keeps you from overloading cloud infrastructure. The network infrastructure has to evolve alongside the Internet of Things. Trying to force fit every use case into hub-and-spoke cloud computing may work now—but explosive IoT growth will quickly overwhelm the model. With the help of edge clouds, you can take the pressure off your cloud infrastructure and take advantage of IoT’s true potential. Edge clouds are more suitable for the processing demands of IoT devices because they make resources available at the source of your applications and services. It’s a scalable infrastructure capable of keeping pace with the growing number of IoT use cases—something traditional cloud infrastructure won’t be able to do. Deploying edge clouds lets you execute closed loops without overloading the central network. It’s a shift in network infrastructure that is becoming increasingly necessary as IoT use cases become more resource-intensive. If you’re ready to update your networking infrastructure, check out our white paper that makes sense of edge computing and fog computing in the age of the cloud.